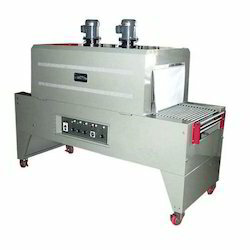 Shrink Wrapping Machines are widely manufactured, supplied and imported by us. These are capable of adjusting the size of wrapping solutions and are highly known for its sturdy and dimensionally accurate collection of shrink wrapping machines that is sure to meet the diverse requirements of several industries. Our range is easy to install and can provide efficient performance at client's end and are widely used for packaging materials. 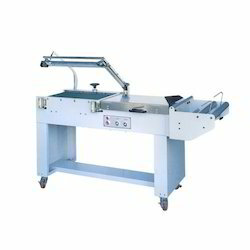 Semi Automatic L-Sealer provided by us are manufactured using optimum quality components and advance technology and are highly appreciated for their heavy-duty electronic timer, adjustable working platform, durability, reliability and high tensile strength and cost effective prices. High Density Nickel Chrome Wire Sealing Cutting System. Conveyor Belt Height is adjustable. Ideal for Low-Height Articles. Stainless Steel In-feed Tray with Film Opening Horn for easy product loading. Sleeve wrapper with shrink tunnel are used to pack heavy products and for high production.Sleeve wrappers are usually combined with heavy duty shrink tunnels for better output and packaging results. The L-type automatic sealing machine fully presents the outstanding technology background of TAYI YEH. Combined in an unit, this machine sets a new standard of sealing automation. Sturdy and heavy gauge design. High blow with special impeller. Various models to tailor suite your requirement. Separate control panel box for protection. Number of rods can be adjusted. 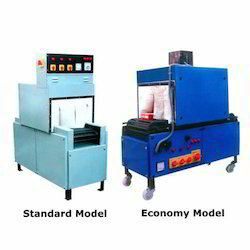 We provide our clients with an extensive array of Standard Type Shrink Packaging Machine. Our range is fabricated using quality raw materials and stringently tested to ensure its compliance with the prevailing international standards. These can be offered as per the specific requirements of our clients and are offered at industry leading prices. 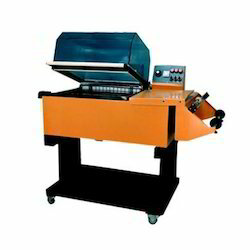 These shrink wrap machines are offered in compact size and have accurately controlled tunnel temperature. We have emerged as one of the most eminent names in the industry engaged in serving our valued clients with a wide range of Chamber type Shrink Wrapping Machines. Our machines are highly acclaimed by the clients for their precise designing, reliability and many other features. Our machines can handle variety of size 8 and shapes without change of parts. The machine is easy, Safe and convenient to operate with single operator. We are listed at the apex in the list of the prominent Paper Roll / Reel Wrapping Machine Suppliers in India. 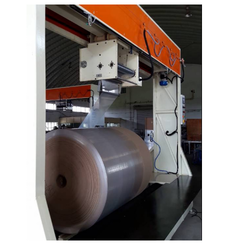 This Axial Type Roll Wrapping Machine is capable of packing Paper Rolls of all Sizes is also able to pack different Pallets. 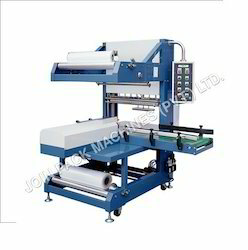 In our Range of JPM-FABPAC Paper Wrapping Machines, we also offer Radial Reel Stretch Wrapping Machines, which provides Cost-Effective Product Safety during Transportation of such Rolls / Reels. 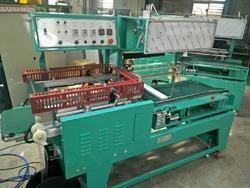 Looking for Shrink Wrapping Machines ?